Storing all our precious possessions as we run has fortunately become much easier. As we like to be outdoors and hike trails, we have found some backpacks have different features that will suit each individual. So we have put together this guide to help you find the best backpack for you. If you read the last paragraph and are looking in dismay at your current arrangement of transporting your items, it’s time to purchase a running backpack. In fact, you probably are reading this review for that very reason. But if you type that in, you will find a plethora of backpacks available, enough to give you a headache. The reality is that there are indeed many options and they range from a simple belt pack to wrap around your waist through to something suitable for a three day adventure in the mountains. There are a number of points that determine the type of pack it is and will enable you to select the right one for you. First of all, there are the straps. The straps aid in support, not just in helping you carry the weight, but more importantly in the case of running backpacks, keeps the bag tight against your body to prevent it from swinging wildly. Most backpacks will have adjustable straps, and the higher you go in terms of quality, the more customizable adjustments you’ll be able to make. Straps can be made using either a mesh for better air flow or well-padded for warmth and comfort. Then you can also have them with a hybrid of both for extra comfort in any climate. When it comes to the material the pack is made from, it goes beyond the fundamental quality of construction. It is also an important determination of how the pack will feel like in a hot or cold climate. Remember the sweaty back scenario? A lot of running backpacks are made out of breathable materials to ensure good airflow in the important areas. Such designs include mesh straps and ergonomically designed air vents to allow for maximum air flow. In colder climates, lightweight but fully sealed packs are better to provide insulation against the weather. The material that the backpack is made from can also include waterproofing in case of rain or sweat, as well as how durable the pack will be. Another aspect of running backpacks is water portability. 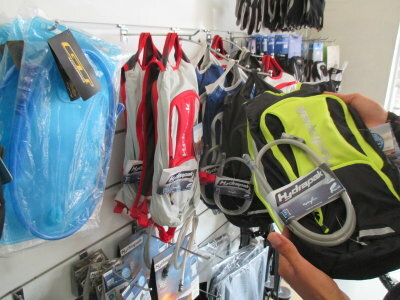 Hydration packs look and wear the same as a regular backpack, however are designed to hold a quantity of water, with a straw like attachment for easy hydration on the run. They are almost always insulated, like a thermos, to prevent the water from becoming warm. Often they also have a few pockets to carry small items such as your phone. These are a different type of back pack and not really covered in this guide in the true sense. We have featured packs that are essentially designed as a hydration pack, but also contain enough pockets to be of use as a true running backpack. It might be tempting to simply take your regular backpack, stuff it with your gear and go for your run. However, such a thought may lead you to carry less water, for example, in case you feel it’s too heavy. The other consideration is for your back and shoulders, which bear the brunt if you’re carrying something while running. You don’t want to be injured or suffer long term discomfort because you had the wrong gear. For your comfort and safety, if anything else, you should ensure that what you have on your back is the best design for your purpose. Weight is one of the considerations to think about and it goes hand in hand with material type. If you want a pack to go out on runs on mountain trails, it will need to be big enough to carry enough water, as well as perhaps a change of clothing and energy food. Remember that 1 liter of water weighs 2 pounds, so the more you need the more comfortable and ergonomic your pack should be. This is especially so if you plan to run in a warm climate. Not only will you need to carry extra water, but the straps will need to be breathable and comfortable to avoid discomfort from chafing and sweat. With this in mind, you will want to think about one that comes with a built in hydration pack, as well as being lightweight in its general construction. It also has to be strong enough to withstand constant movement with the weight of the contents. On the other end of the scale are the runners who take the sport seriously in the form of marathons and half-marathons. If you’re in this category, it’s going to be unlikely you’ll want to carry a lot of extra gear around. You’re likely to be concentrating on the clock and thus will need a backpack that is lightweight, ergonomically designed and mainly to carry water and an item or two. You may think about opting for a hydration pack instead, however there are numerous running backpacks that will satisfy your needs well. Then there is the group of people who simply want to carry stuff around as they run. For example, a person running to work, or those that use running as a warm up for another sport. If this is you, then hydration options will be less important than storage capacity for a change of clothes or an item for your destination, such as another pair of shoes or a tablet. In this case, it might be worthwhile to look for a backpack with clever compartments and one that supports a water bottle instead of an insulated cavity for water storage. This will optimize the space and weight available for your other gear, enabling you to customize how you want it to sit on your back. Clearly, each motivation carries a different set of requirements. It may be that you need two types if you tend to span between categories. Purchasing two is a better idea than trying to buy one that covers both. The reason is that you will end up with a product that doesn’t satisfy either objective. Just as we have different shoes for different occasions, so it is with backpacks. If you’re in a competition, the last thing you’ll want is a heavier backpack than necessary. Same thing goes if you are also running to the office on weekdays. You won’t need a backpack with 5 liters of water storage but can’t fit in your business shoes. Keep this in mind as you peruse the top 10 running packs for 2017. 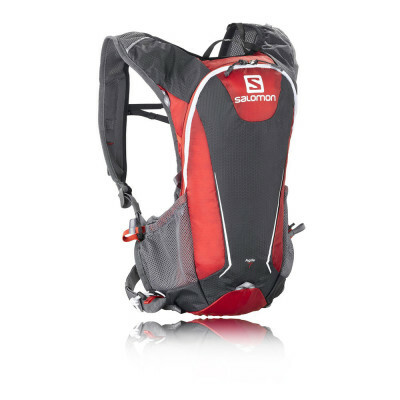 One of the best all-round running packs available, the Agile is made for the trail runner. Lightweight mesh sports comfortable and adjustable straps to keep those shoulders comfy during long runs. It contains a bunch of pockets for all your gear including jackets, a tablet, phone, extra food and water bottle, in case the 5 liter hydration bladder isn’t quite enough. The pockets and zips can be customized to make sure you get the most out of this pack, whether you need it for a day long trail run, or a couple of hours. This will benefit those that might need to change up what they require and sometimes focus more on streamlining than storage, or vice versa. It is made out of waterproof material to keep the rain off, and an excellent quality harness system ensures that the pack will hold steady against your body. The downside is that it might be too heavy if you’re looking for a backpack to take with you on a marathon. If that’s you, then skip down to a more slim line pack. Overall, this is an excellent quality backpack with everything you need. ​​This running backpack borders on a full-blown hydration pack. However, it has enough pockets to give it a well-deserved place in our list and a nice target for our marathon runners out there. The highlight of this useful pack is the 1.5 liter hydraulic pack featuring a magnetic bite valve for convenient sipping on the go. On the outside is the Body Stretch body wrap, which is a cleverly designed mesh system including two chest straps and a mesh hip harness. The idea behind it is to provide a comfortable system of support to ensure the pack stays nice and tight across the body while it moves along with your motion. It has a specially designed pocket on the shoulders for your phone or small device, as well as a bungee on the front panel for extra storage. While it may be a bit small for someone looking to take enough extra gear for a trail run, it is ideal to take on a marathon or for the runner only looking for water and small item storage. The mesh on the straps may also limit it for warmer days, although for this it is perfect. With the added benefit of high visibility tape, it also will assist in a safer run, by day or night. 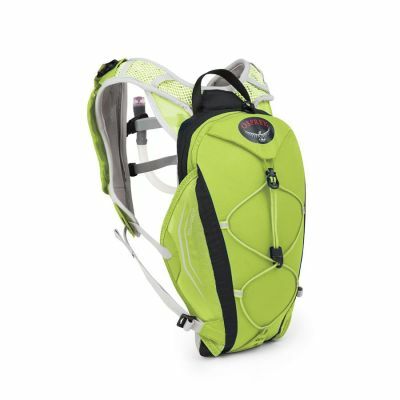 This is a great pack as an alternative to a hydration only pack and is priced well for the excellent quality it is. ​​If you’re into serious trail running and need something light that can handle any conditions, then the Montane Fang is for you. It is constructed with high quality materials, including a fully taped interior to give it durability to make it practically bulletproof. The Raptor Hydroseal fabric makes it ultra-lightweight and waterproof to boot. It has a lot of mesh throughout that is designed to dry quickly should it come in contact with any moisture. With a 5 liter hydration pack that is insulated along with two additional bottles with special attachments, there will be plenty of water storage for you out in the wilderness. The straps are engineered to hug tightly against the body and flex with the motion of your body movements. The folks at Montane have done an impressive job here to ensure the best performance for your mountain trips. This includes zips that are designed to close and open semi-automatically and bound seams on the edges of the body to give it additional strength in harsh terrain. 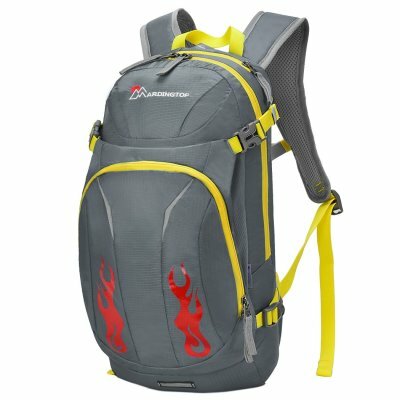 On the expensive side, this backpack is an excellent option for those looking for a lot of features in the pack and don’t mind paying for it. Another pack from Osprey to appear in our top ten, the Viper is a high quality, durable backpack made from 100% nylon. It is waterproof to deter that wet weather and is also has a removable, 20mm ErgoPull webbing hip belt to keep the pack stable. The storage compartments are well constructed, with a zippered area for easy loading and unloading of the hydration pack. Wide access zip pockets on the outside and a protected inner pocket for delicate items makes this pack really handy for a day hike or a few hours’ trail run. Although it’s fairly slim line, it is probably a bit large for the marathon runners out there. This is a popular backpack and many users keep coming back due to the excellent quality and durable construction. If you’re looking for a running backpack for short trips at a mid-range price, then this one will satisfy your needs. 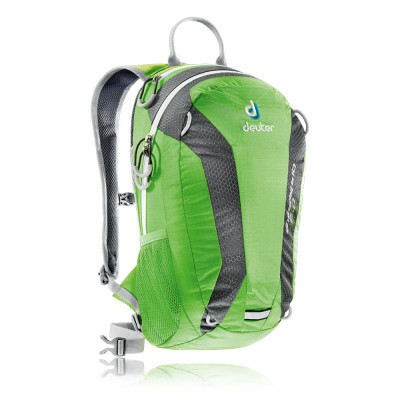 ​The Deuter Speed Lite 10 is a sleek, durable and well-made backpack. It is made out of very lightweight polyester and has a breathable foam back to make it comfortable on those warm days. Designed to be functional and comfortable, it is ideal for those looking to run or cycle to the office. The large pockets accommodate quite large electronic gear while the wet and dry pocket is perfect to put your valuables in that you don’t want getting damp. 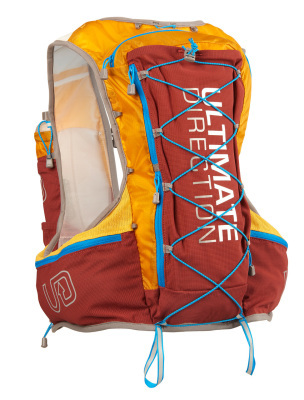 At the same time, there is room for a 2 liter hydration bladder, providing just enough hydration for the shorter runs. Unfortunately the bladder needs to be bought separately which makes this pack miss out on being great value for money. Be aware of the size as some customers felt it was on the small side for them. However, for the price this is a great value running back pack that is well designed and functional for all your commuting needs. If you’re the kind of person who enjoys trail running in more extreme conditions, then the Mountain Vest 3.0 is a great investment. I say investment because it’s not cheap, however the quality is top notch and aimed at competition runners who take on mountains and marathons in any conditions. It is designed mostly for hydration purposes with space for a 2 liter water bladder (sold separately), as well as including two specially designed water bottles that sit at chest height. The idea behind this was to minimize movement of water and to be customizable to how the product is used by the consumer. 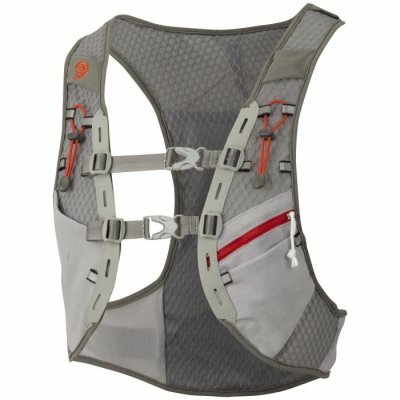 So if you needed the backpack to hold extra water for longer runs, you can purchase the hydration bladder. But if you didn’t want or need to carry the extra weight, you have that option too. There is a harness of mesh that conforms nicely to your body and the extra storage pouch at the front made from Darlington Power Mesh adds a nice touch. It really is a great running backpack but it would be even better if it had a little more storage. But given it’s aimed mainly at runners who will most likely be in a competition, then this is a fair sacrifice. For the price range, this trail running pack is an excellent choice for the budget conscious looking for what’s important for them. 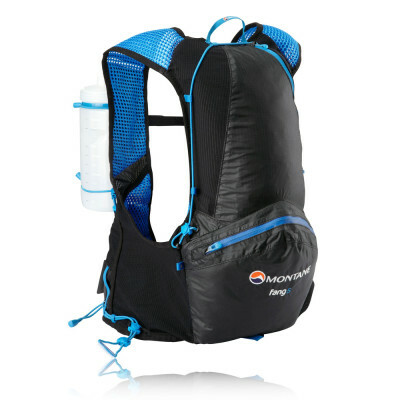 The main highlight of this pack is the superb hydration system. It’s made with a small hose that extends from the bladder to an area easily reachable by your mouth while on the run. Simply take the safety cover off and initiate the flow with the hose/bite system for easy hydration. Other features include a strong Rip-stop nylon construction and convenient pockets in the shoulder straps for all your small valuables. Some users have complained of the sizing, where they have set it as tightly as possible but it still moved around. So keep this in mind if you want to try it, but for the price, this is an excellent quality pack. 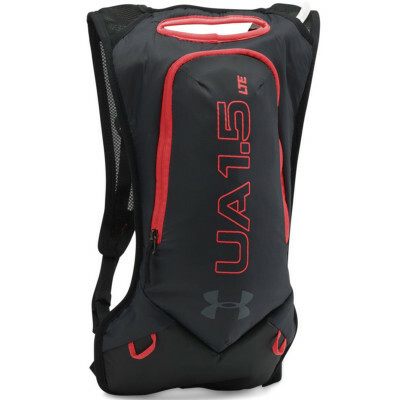 ​We know Under Armour produce some great products for all kinds of sports and they have not forgotten their running friends who need to carry their sporting gear around. This 100% polyester backpack is ideal for runners who need something in between marathon running and trail running. The result is that this pack is a bit of both and most groups will find good value in its design. The hydration system, although on the small side at 1.5L, is hands-free and insulated to ensure your drink stays cold. They have also worked hard to make the foam pads in the back very comfortable, however it seems they have neglected the mesh on the shoulder straps which may get uncomfortable after a while on a hot day. You won’t go wrong though with this great running pack from Under Armour. When you are after a pack for your long distance runs, then this one is a very good option. Made from comfortable and durable mesh with comfortable wide straps for the shoulders and adequate cooling for the back, it’s well designed for comfort on the run. 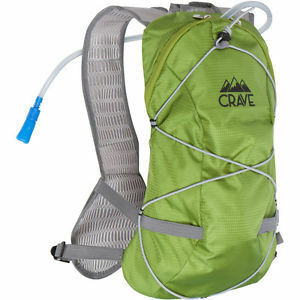 It is lightweight and contains a 2 liter bladder hydration system that is easy to reach. While it is mainly targeting marathoners and other long distance runners, it has enough storage to make it handy for commute runs and half-day runs on trails. For this quality pack, it is priced reasonably well and offers good value for someone looking to cover a few bases and enjoy a comfortable and durable pack. 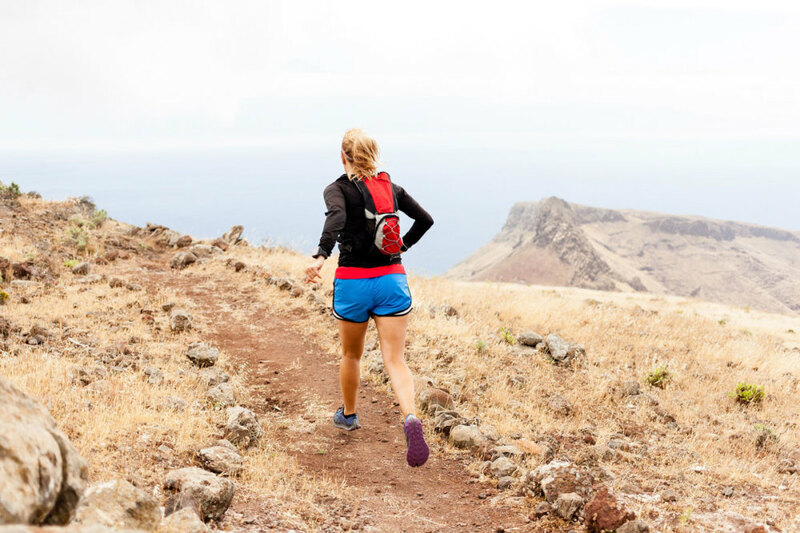 With the amount of choices available to cover virtually any type of running, there has never been a better time to purchase a comfortable and useful running backpack. The quality of materials on the market ensures that even inexpensive packs include a ton of features, such as lightweight materials, comfortable meshing that wraps tightly to the body, cleverly designed hydration systems and enough storage for at least the most important items. It all comes down to what you need on your run that will determine the type of pack you will buy. For the marathon runner, probably the best value pack you can get is the Osprey Rev. 1.5. 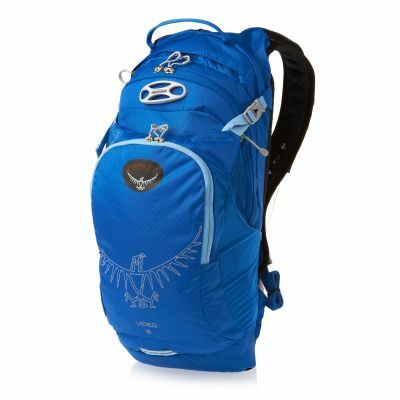 Osprey is one of the leaders in the running backpack market and you can be sure this pack will serve your needs well. If you’re going on trail runs, then we recommend the Salomon Agile or the Ultimate Direction AK Mountain Vest. The Salomon simply for the amount of features it contains as well as exceptional build quality that ensures it will last on many trail runs. The Ultimate Direction also contains excellent features, with the added benefit of being designed to withstand extreme conditions. There are a bunch of budget options that will also do the job well if you need a pack for running but don’t envision ultra marathons or mountain climbing in your running future. Such packs as the Mardingtop and the Crave Outdoors offer excellent value for money and all-round features for the casual runner.